Ah, the first day of school. Whatever stage your little one is in, you'll probably want to capture the milestone with a quick pic. Enter: first day of school signs. You know the ones where your child fills out what they want to be when they grow up, how old they are, and their teacher for the year. 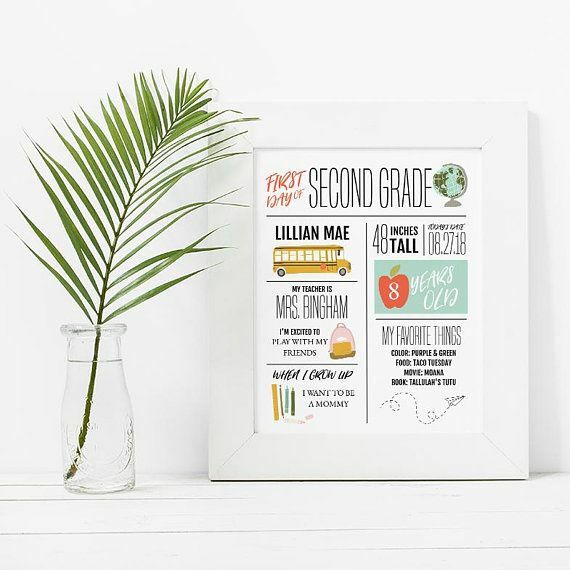 Not only is this a sweet sentiment to look back on for when they're older, but it's a great way to see how much your child has grown throughout the school year. Nothing says first day of school like an easel and backpacks. These cuties are rocking their color-coordinated outfits that match perfectly with the backpacks and backdrop. "I am a 1st, 2nd, 3rd, etc. grader"